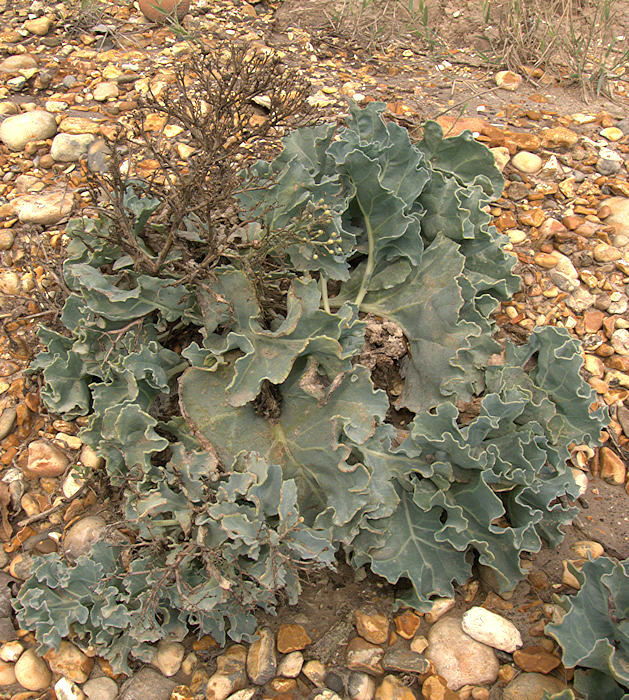 The Order Brassicales contains around 14 families of dicotyledenous flowering plants, taking its name from the family Brassicaceae = Cruciferae. Members of the families Brassicaceae (cabbage, caper, kale, mustard, turnip) and Caricaceae (papaya) are important agricultural crops grown for food and fodder. The families Resedaceae (mignonette) and Tropaeolaceae (Canary Creeper, Nasturtium) include popular ornamental plants. The family Moringaceae (Horseradish Trees) contains succulent bottle trees that store water in swollen trunks, and other trees with tuberous roots. 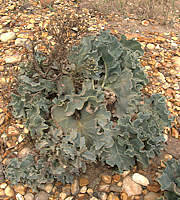 Within the family Brassicaceae, Crambe maritima (Sea Kale) is an edible succulent plant native to the coasts of continental Europe and introduced to Britain, Ireland and the Channel Islands.